1. Since I started inquiring about the transactions and posed tough questions to the co-founders of the HOQU project, I have been receiving threats from thugs coming to my house and meeting me downtown. 2. Mr. Anikeev refused to return the digital assets to early investors and suggested pulling a scheme through a crypto exchange. 3. 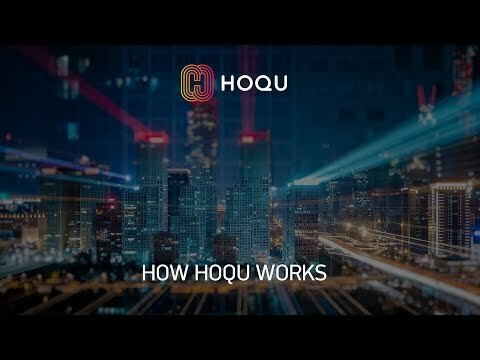 Financial activities of HOQU lack transparency. 4. Foreign media has been involved. 5. There have been questions about the project coming from investors, advisors, and others. Great team solving a huge need with a clever use of blockchain: Hoqu is an oustanding project! HOQU. Disperformance Marketing for the Blind! There are more and more articles coming to light stating that Hoqu is a scam. Please read https://shitcoinoffering.com/hoqu-disperformance-marketing-for-the-blind/ carefully and draw your own conclusions. The team did not undergo (and pass) KYC, they are additionally acompanied by some shady advisor figures - not to be named - and above all, they stated that they would need to raise money again. Stay away! David Drake, Roman Kaufman and Kenneth Goodwin are scammers in the team. Disgusting advisers. I recommend the founders of the project to change the composition of the advisers. In the meantime, I am forced to change the rating of the project.